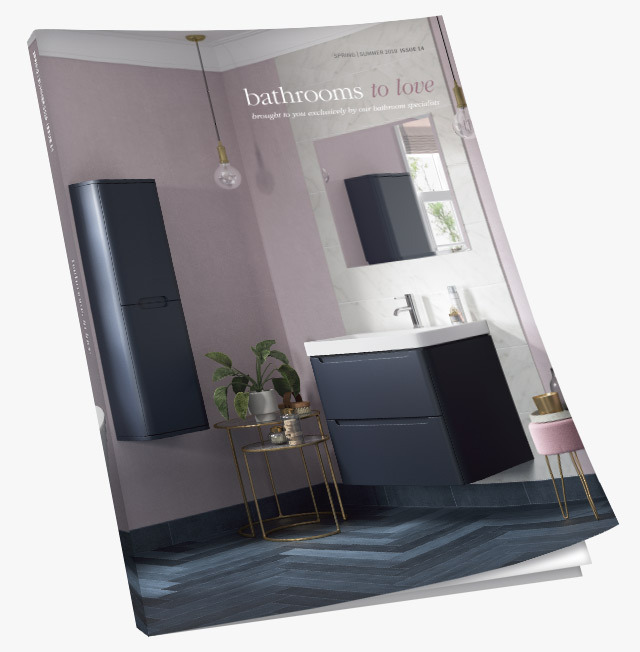 Perla 2 drawer vanity unit 600mm with basin, Perla WC unit, Cilantro back to wall WC, Balham freestanding bath black, Aqado basin mixer black, Alulite radiator black and Adrastea mirror. 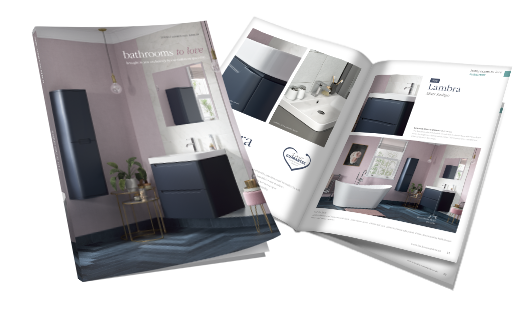 Perla 2 drawer vanity unit 900mm with basin, Perla tall unit, Venetian freestanding bath, Primo floorstanding bath shower mixer, RefleXion 8 wetroom panel, ultraslim tray and Adrastea mirror. 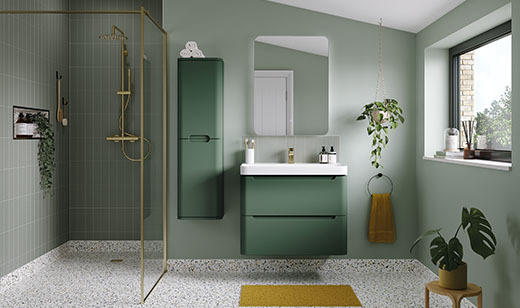 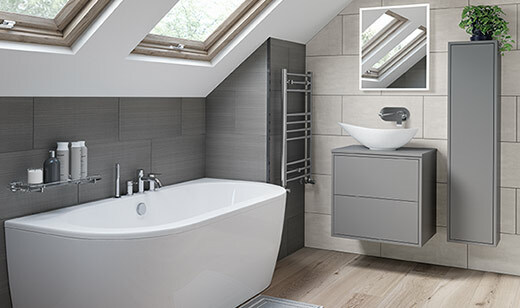 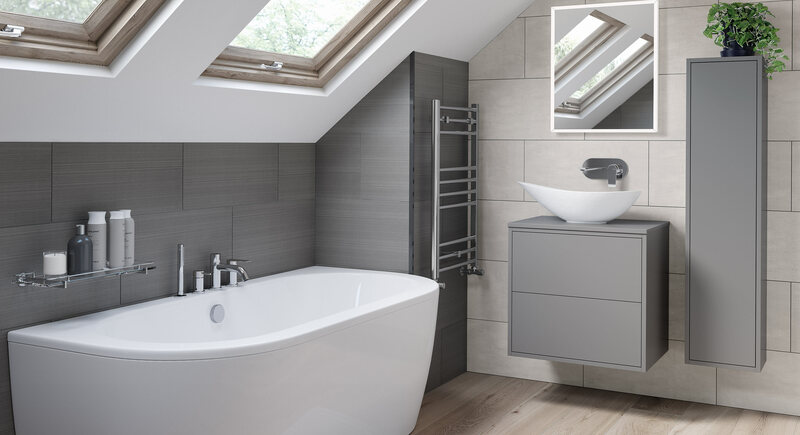 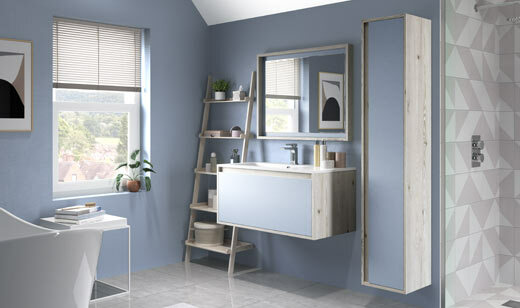 Perla 2 drawer vanity unit 600mm with top panel, Cedrus washbowl, Ricco wall mounted basin mixer, Edinburgh freestanding bath, Ricco floor standing bath/shower mixer, Ikon radiator and Galatea mirror. 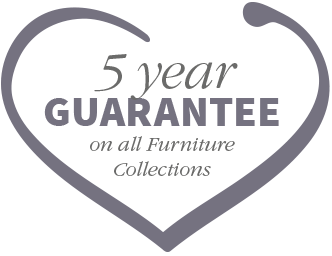 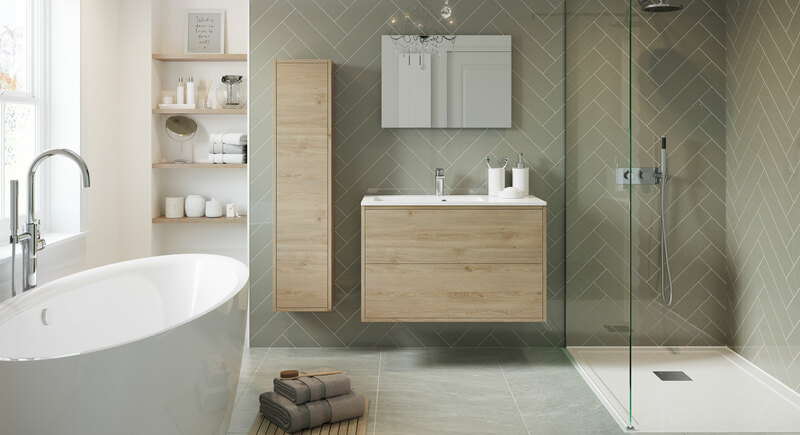 This inspirational new furniture range is really on-trend, with a framed look inset drawer and door design, and a silky matt, or textured ‘real feel’ wood finish which offers a tactile and luxurious feel. 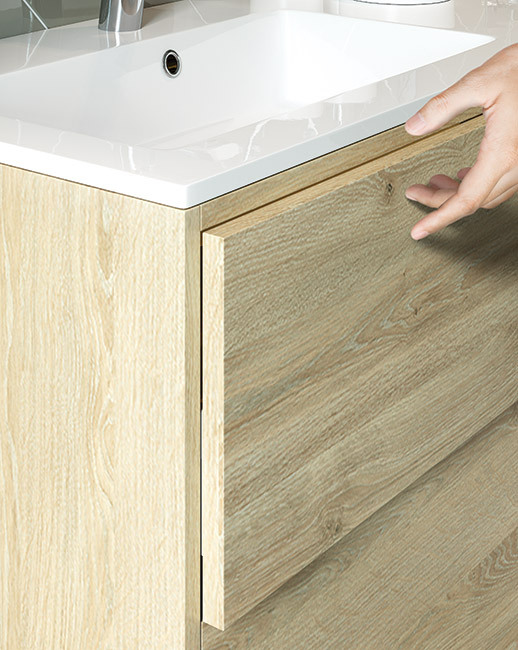 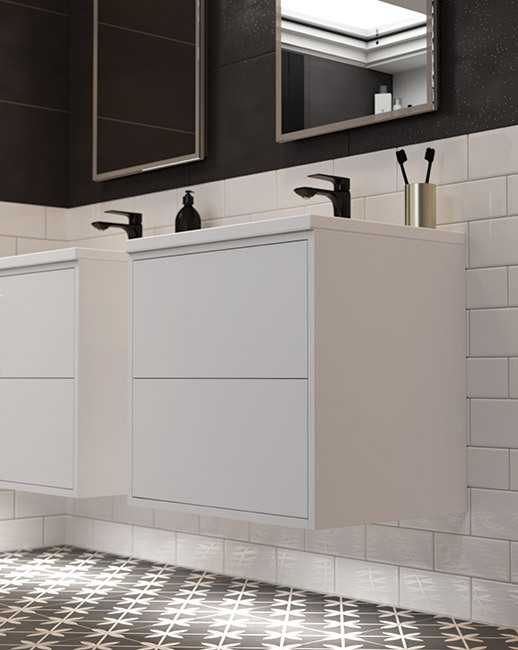 The beautiful simplicity of this design is carried through to the delicate push-to-open door mechanism and metal drawer boxes, engineered to a very high quality, and the attractive, durable matching cabinets. 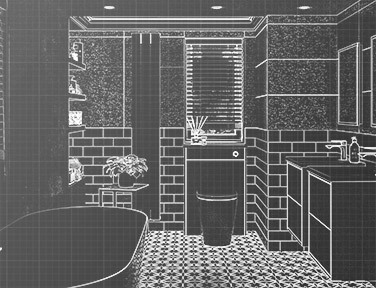 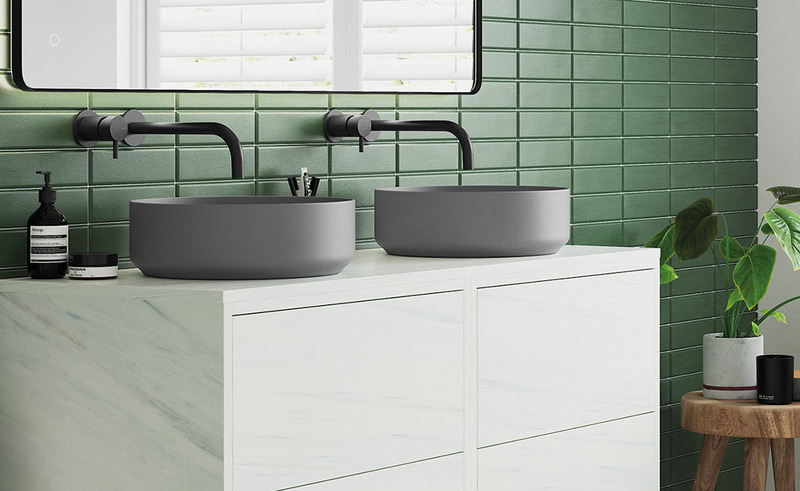 Choose from a sit on washbowl or a sit in basin to complete the look. 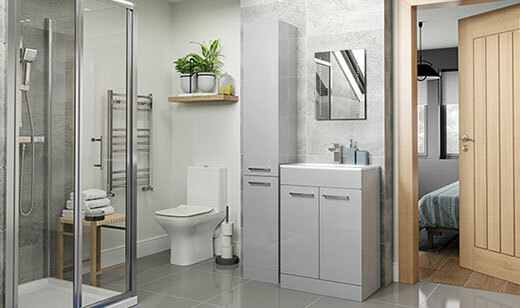 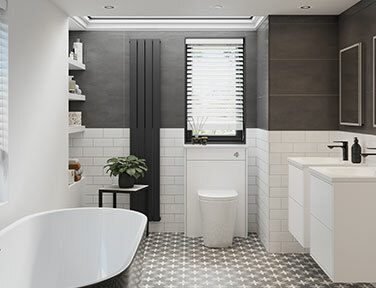 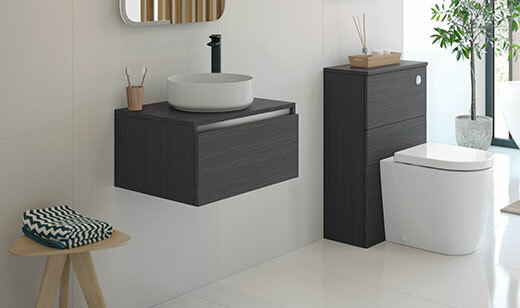 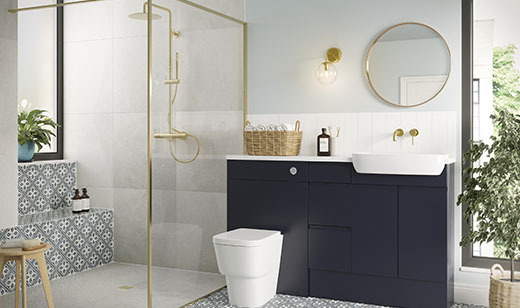 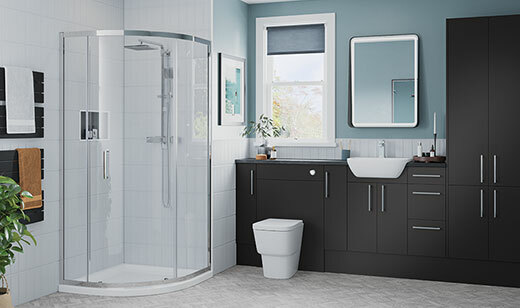 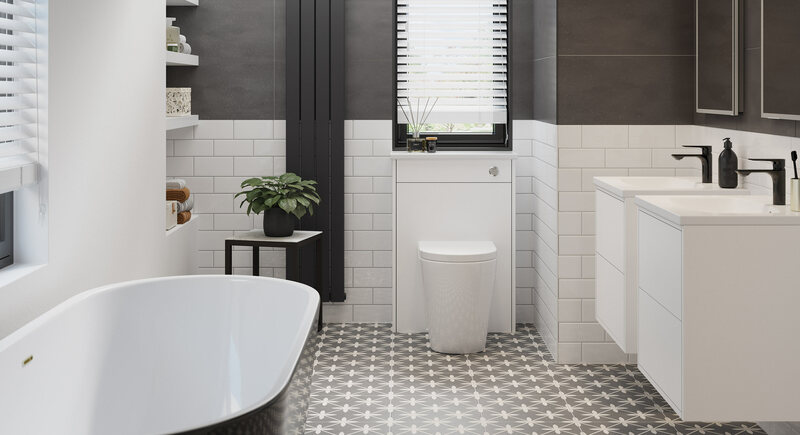 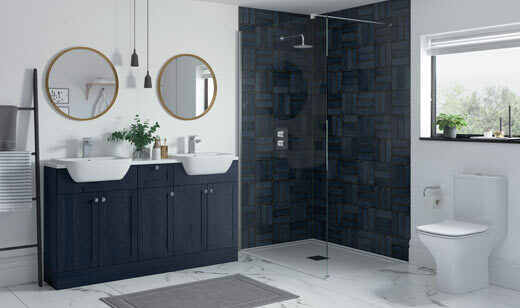 The framed effect of Perla is on-trend and stylish, and with its push to open doors & drawers (top left), optional integrated lighting & motion sensor (top right), Perla is every bit the furniture solution for today’s bathrooms.